We are thrilled to start this interview series of our partners with Raul Zuleta, CTO at QIN Technology and Head of the GoQuantum Project. To start, please tell us more about QIN Technology and the GoQuantum Project? QIN is a Chilean based ICT company with regional presence in Latin America. Since its foundation in 2009 it has been focused in the Telecom Industry. We deliver tailor made software solutions and core platforms for mobile operators as well as standardized middleware and infrastructure for RAN (Radio Access Network). The GoQuantum initiative begun in 2016 at the R&D department of QIN, led by Dr. Jose Brito and Raul Zuleta T, CTO. The project’s goal was to create a post-quantum security IoT gateway based on opto-electronic components as well as traditional hardware and software, to serve as first generation interface technology aiming the adoption of quantum technology. How did you integrate IDQ’s Quantis QRNG? For what purpose? The Quantis QRNG was integrated in its OEM chip form directly to the GoQuantum prototype board, the entropy output is passed in by the serial input pins of the single board computer of GoQuantum directly to the OS, and then used as random bytes feed into the key generation process. Currently, GoQuantum is undergoing the preparation phase to be released as a product during 2018. 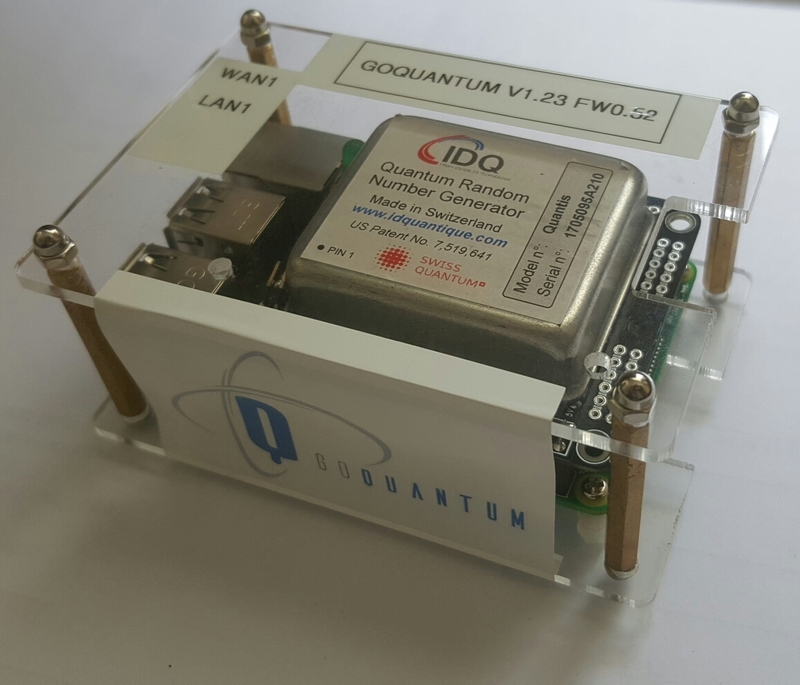 To achieve this goal, we are looking for a smaller form-factor QRNG and increase the computing power of the GoQuantum 1st prototype, as well as including RAN support for LPWAN. In the business side, we are deploying efforts to create the awareness about the next-generation of quantum computing as well to create a solid partner network for further commercial development. Why did you choose Quantis QRNG? Dr. Jose Brito had previous experience using IDQ’s QRNG in the academic world with very good references. Furthermore, it was a readily available product, not a prototype, making it a sound election when you need reliability. How do you see the future of your partnership with IDQ? At QIN we are very pleased to work with IDQ, we foresee a bright future integrating new quantum technology and advances made by IDQ into QIN’s products as well as joining efforts for upcoming commercial endeavors and expositions.